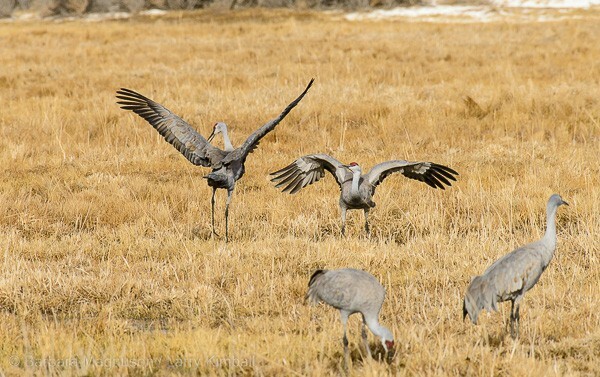 The northward migrating sandhill cranes have returned to Monte Vista National Wildlife Refuge in Colorado. Spring and fall brings these beautiful birds through this valley each year where they feed and rest before continuing their journeys. 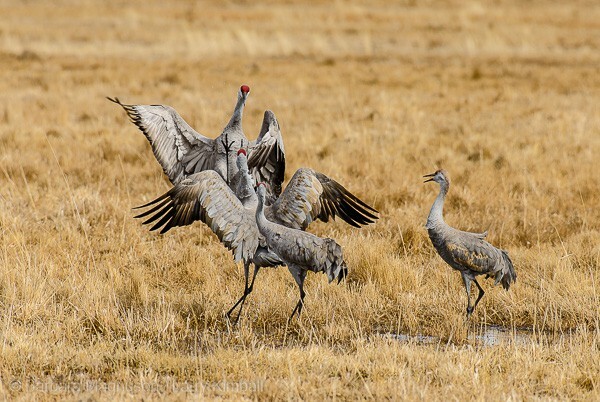 Courting is on their minds now and these cranes are squabbling over territory. Others dance together to establish their bonds to one another as they mate for life. Right now there are thousands of cranes in the valley and what a spectacle it is! This entry was posted on Saturday, March 19th, 2016 at 12:59 am. It is filed under Collections, Nature and tagged with animal migrations, bird migrations, birds, Colorado, Monte Vista National Wildlife Refuge, nature, San Luis Valley, Sandhill Cranes, spring migration, travel, wildlife, wildlife refuges. You can follow any responses to this entry through the RSS 2.0 feed.